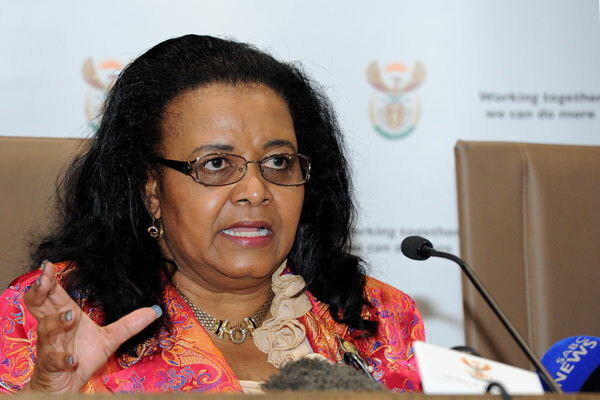 FILE PICTURE: Minister of Environmental Affairs Edna Molewa. The establishment of four water catchment management agencies (CMAs) was approved by Water Affairs Minister Edna Molewa on Monday. The agencies are Inkomati-Usuthu, Breede-Broutiz, Limpopo-North West and the Pongola-Mzimkulu. “The agencies will play an important role in managing the country’s scarce water resources, by among others facilitating stakeholder input into the management of water resources,” Molewa said in a statement. A decision was made to establish nine agencies, after it was deemed financially unviable to set up 19 as originally intended. “The proposed 19 CMAs were then consolidated into nine CMAs,” Molewa said. The other five to be set up are the Olifants, Vaal, Berg-Olifants, Mzimvubu-Tsitsikamma, and Orange.